Our good friends just lost a very special friend. 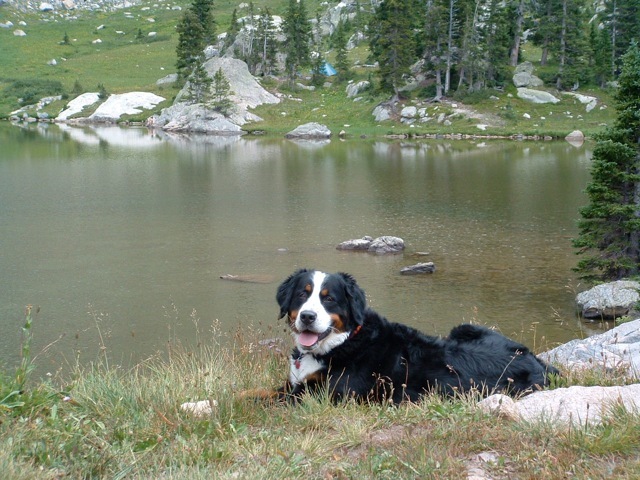 Jake was a beautiful, super sweet and funny Bernese mountain dog, much like our Tully. Jake was a year younger than Tully. I'm having a hard time getting my arms around what has happened to this breed. It's just not right losing these important members of the family at such a young age. Jake - look in on Tully. She was pretty goofy and might need some help.